When I left home for college, I went to a bigger school back East. It’s crazy how different my experience was there from UCA – my eventual home. I wasn’t able to plug in at that first school, but at UCA, you couldn’t stop me from getting involved. The difference was like night and day. Now, at UCA, I’m part of a groundbreaking program in entrepreneurship and innovation. Where I live and learn on campus is just as unique: The EPIC Residential College. My residential college fosters the focus of my degree by bringing together students of different disciplines to grow new ideas. Because of UCA, I’ve built mobile apps, done feasibility studies, and improved work environments for local businesses. I’ve discovered college life like never before, too. I’m one of the founding fathers of my own fraternity, building new traditions on a campus that bring out the best in Greek life. 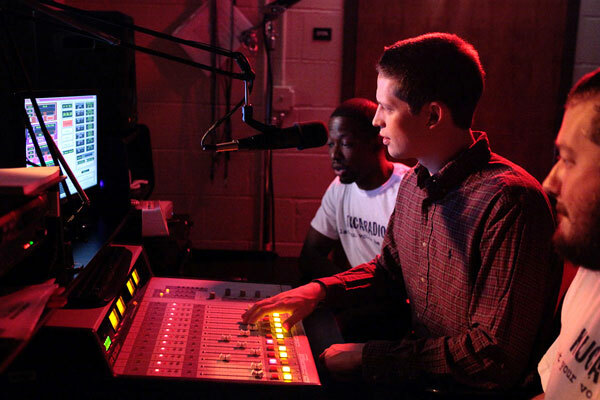 I literally have a voice on campus as the host of two shows on UCA’s radio station. UCA put me, and my education, front and center like no other school could.